Click here for additional photos from the 2015 field trip. 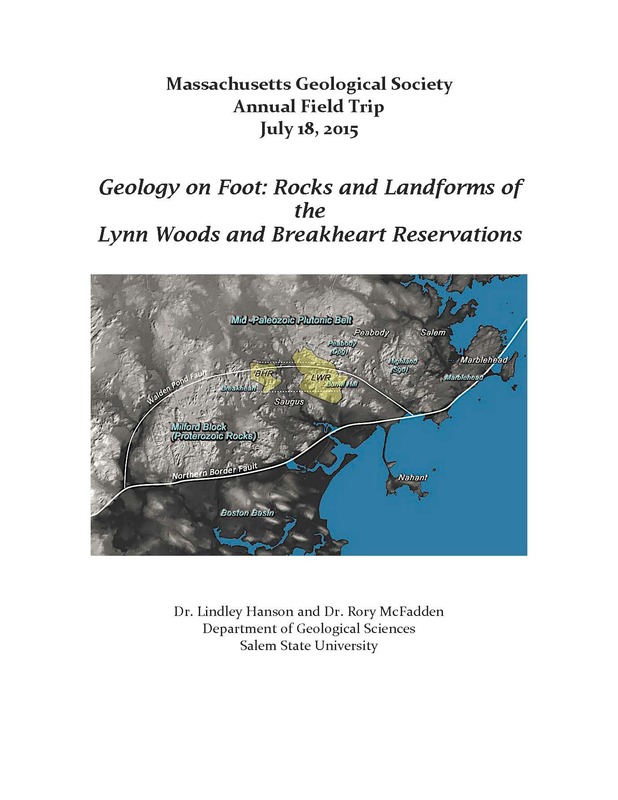 The first Annual Massachusetts Geological Society Field Trip took place on July 18, 2015. A limited number of copies of the Field Guide for the trip are available for $10. Please email us at geoinfo@massgeosociety.org for information on how to obtain a copy. The inaugural meeting of the Massachusetts Geological Society was held on June 4, 2015, at the offices of AECOM in Chelmsford, MA. We had a great turnout, with approximately 60 people in attendance! Dr. Jack Ridge from Tufts University was the keynote speaker at the 2016 Annual Membership meeting on December 14, 2016, at the Berlin 1870 Town Hall in Berlin, MA. The title of the presentation was “The Deglaciation of New England and its Relation to Climate: The Fusion of Varves, Radiocarbon Ages, Paleomagnetism, Cosmogenic-Nuclide Exposure Dating, and Critters in Lakes”, and an abstract of the talk is available by clicking on the title above. 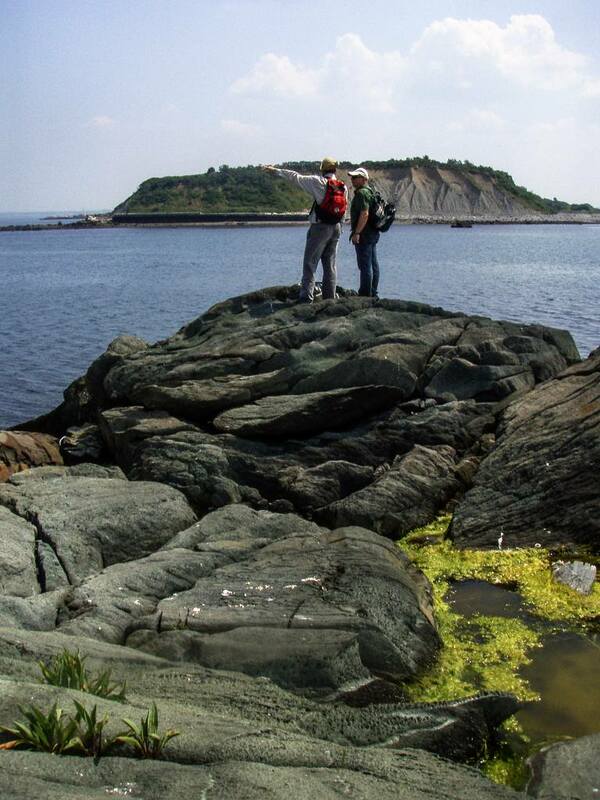 A summary of the Massachusetts Geological Society events for the inaugural year of 2015 can be found by clicking anywhere in this text box. 2016 Spring Field Trip to the Quabbin -- A Resounding Success!! 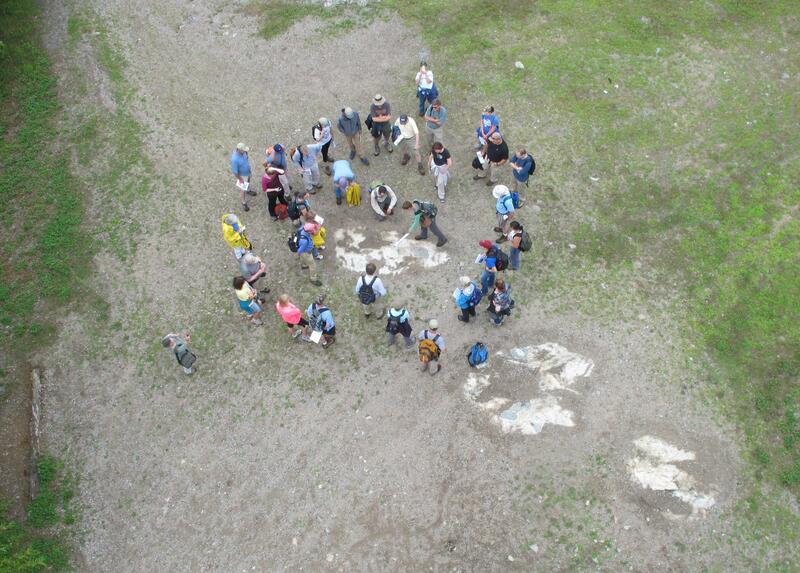 On May 14, 2016, Dr. Peter Robinson, professor emeritus from the University of Massachusetts and chief compiler of the central Massachusetts portion of the statewide bedrock geologic map of Massachusetts, led a once-in-a-lifetime field trip into the Quabbin Reservoir and surrounding area to view the spectacular rocks of central Massachusetts -- just for the Massachusetts Geological Society! It was a great opportunity to view rocks that are seldom seen and be provided with an explanation of their relationship to each other and to other rocks in the region. The weather conditions were absolutely ideal, and the opportunity to view the Quabbin Reservoir from rarely seen perspectives was a great addition to the geology story. Dr. Robinson was assisted by Dr. Kurt Hollocher from Union College, and Massachusetts State Geologist, Dr. Steve Mabee, who helped compile the field guide for the trip. Photos from the field trip are available by clicking here. Copies of the Field Guide are available for $10. Please email us at geoinfo@massgeosociety.org for information on how to obtain a copy. The Outreach Committee is also actively planning for 2017. Please click here for a copy of the 2017 Outreach Plan and be inspired to help join the effort to spread the word. Planning is currently underway for 2017! Please check back soon for notices of upcoming events!! The Program Committee is seeking input to help with planning events for 2017. Please click here for a copy of the feedback form.